West Texas is still the Wild West. In fact, in this day and age, as the rural lifestyle of a bygone era further dwindles, much of West Texas, specifically the small desert towns seems, at least in the movies, a series of Ghost Towns. That's certainly the perspective of director David McKenzie's new modern Western, Hell or High Water. Chris Pine and Ben Foster play a pair of brothers, who, as the movie opens, calmly, cleanly, and relatively non-violently rob a bank. It's first thing in the morning. Opening time. No customers. They only get small bills, what's in the till. They get away clean, bury their car, and head on to the next. They need something, something a little bit of money can buy, but that is money they don't have. It's money they've never had. We learn a bit about the problem the brothers face. Chris Pine is Toby. He is mild-mannered, soft-spoken, distressed, tough. He is divorced. His two sons (one a teenager; one almost one) live with their mother. He is behind on his child support. No work he could get would help. Ben Foster is Tanner. He is older, somewhat wild, erratic, a convicted felon, paroled for the time being, also tough, but loving, with a tenderness bubbling just underneath the surface as tears might in a feel-full eye. Their mother has just died of a terminal illness. The family farm has passed to them. It's more than they can possibly manage, considering their prospects. They need money. A well-conceived series of bank robberies is probably all they've got, no matter the cost. These men are not criminals. They are desperate. As the robberies continue, including an ill-advised impromptu one over breakfast one morning, the Texas Rangers sniff out the trail. Jeff Bridges plays Marcus Hamilton, the senior investigator in the department, weeks away from retirement. He is sarcastic, racially joke-y and aggressive with his Native American/Mexican partner Alberto (Gil Birmingham), who takes it on the chin with an eye-roll, counting the seconds until his superior finally gets out of his way. Both are good police officers, in all senses of the word good, the screenplay allowing them time to become something other than just a standard bickering couple of police officers. 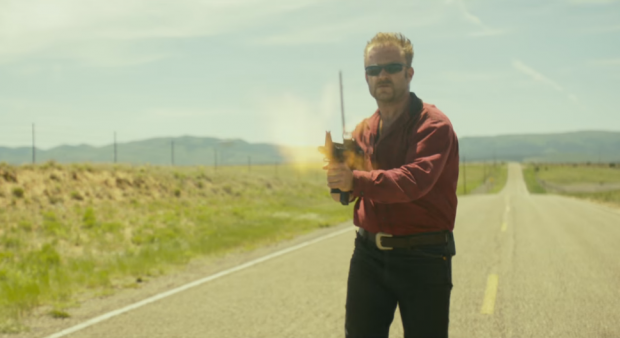 Essentially, Hell or High Water is a fairly classically made Western, set in the present day, blended with a fairly non-traditional heist film. 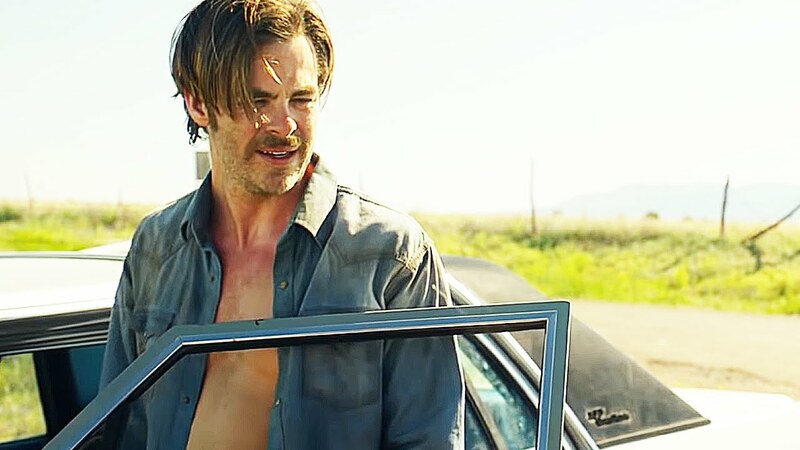 It rises far above the usual entries in the bank robbery genre due to the sharp writing of Taylor Sheridan, who also wrote last year's brilliant film about the shifty nature of the drug war, specifically in Mexican border states, Sicario. Here he has matched the same narrative power he pulled off there, mostly thanks to the work of another great filmmaker. The British director David McKenzie, whose Starred Up is a film I've been hearing great things about for the past two years. This is a great film, one of the best of the year. It rises above the level of most of its kind, specifically bank robbery or heist movies by allowing itself to focus on a larger story in its later acts, one as timely as anything I've seen this year. It is a story of a family's poverty across generations, the perpetuation of that poverty by the greed of a changing landscape in a changing time where big banks surpass decency and become judge, jury, and executioner to the livelihoods of those on wrong end of the very real wealth gap in this country. 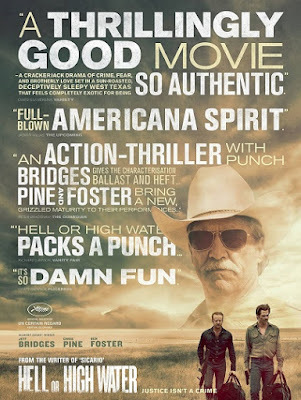 Hell or High Water is riddled with sentiment for the dying small town American West. Within all that is a movie willing to take its time and reveal underlying truths we would never see or expect in this kind of movie. It is a character study richer than anything I've seen since last year's small road movie about downtrodden ramblers, Mississippi Grind, which showcased the work of an unexpectedly great Ryan Reynolds and the never faltering Ben Mendolsohn. What that movie did for Reynolds, this movie does doubly well for Chris Pine, an actor most well-known as Cpt. Kirk in the Star Trek reboots. He is amazing here, brimming with pain in every movement and glance. 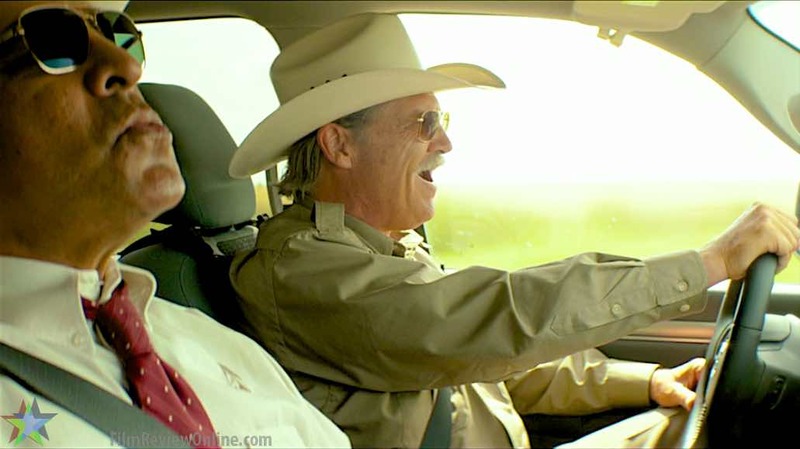 Jeff Bridges, "the nearly retired law man running down one final collar," now a stock character in this type of film, brings more to the table than is even called for. He does this by simply being Jeff Bridges, of course, something about him so effortless. He is tired, breathes heavily, but is filled with wit and an underlying instinct only the best movie cops have. The banter between him and the partner character Alberto is, as I previously mentioned, some of the best writing in movies this year. It's Ben Foster as the older brother who is the real star. He has, for years, played "wild, crazy" sorts, specifically as a younger actor in the early 2000s in things like HBO's Six Feet Under and the true crime movie Alpha Dog. Here he blends that level of energy with the sort of subdued heartache he brought to his work as a law man in the undersung 2013 romantic crime drama Ain't Them Bodies Saints. I expect an Oscar nomination, or at least I hope for one. It would be well-deserved. Even when Hell or High Water comes down to its obvious violent conclusion, it does so in such a way as to continue to make us empathetic to its heroes, on both sides of the law. Nobody is right or wrong in this film. Everybody is both. I can't explain how satisfying that is. Seek out this movie. It is only playing at Downtown West, which is Knoxville's local "arthouse," or what Regal calls a CinemArt theater. It deserves a bigger release than that. It deserves for you, readers, to watch it, on a big screen, as great movies are intended. Absolutely loved this movie. My #2 film of the year (behind The Lobster). Acting, direction, screenplay, cinematography - loved it all. (P.S. Loved that you mentioned Ben Foster's stint on Six Feet Under. That made this already awesome review even better). Ben Foster was so great on Six Feet Under. One of that show's many highlights. Glad you loved this as much as me. I think it has actually jumped The Lobster for number 1 right now. Great review Kevin :) When I saw the trailer for this one I really couldn't make my mind up, but the positive reviews I've read have won me over, and I'm actually really looking forward to seeing this now! Thanks! It is so worth seeing. It is SO MUCH more than just a heist film. Ben Foster is way overdue for an Oscar nomination, that guy is spectacular. My theater has this now, and I'm hoping they hold on to it for another week when I have time to see it. Great review! He is so good, Britt. Really hope you get to see this on a big screen. It is visually perfect. Thanks! This sounds amazing, and watching Jeff Bridges on screen is always a good thing. I may talk The Hubby into watching it this weekend if I can get him to stay awake for a movie. LOL.